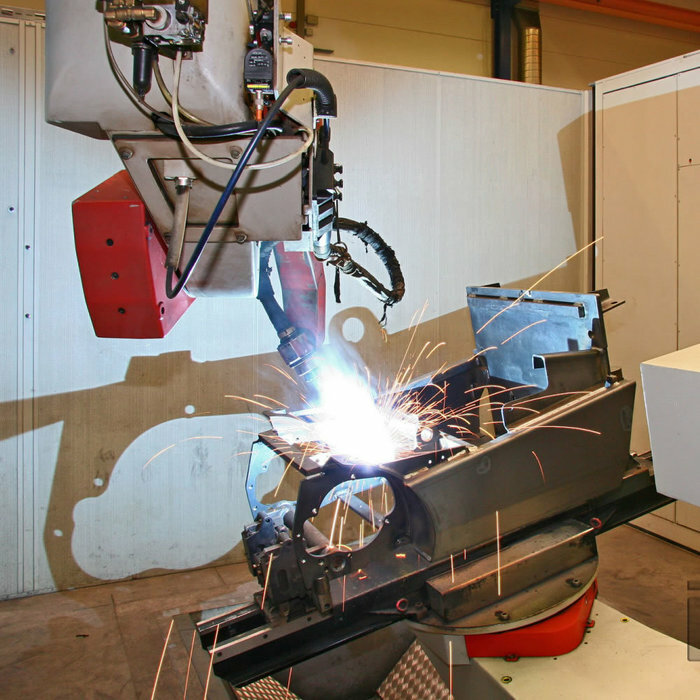 There are applications supported by igm Robotersysteme in every area of the welding and cutting industry. The igm reputation as a specialist for large-scale projects is based on a steady stream of major contracts from the heavy engineering industry since the 1980s. Indeed, the floor track systems of up to 100 m in length are designed to cater for the special requirements of this industry. 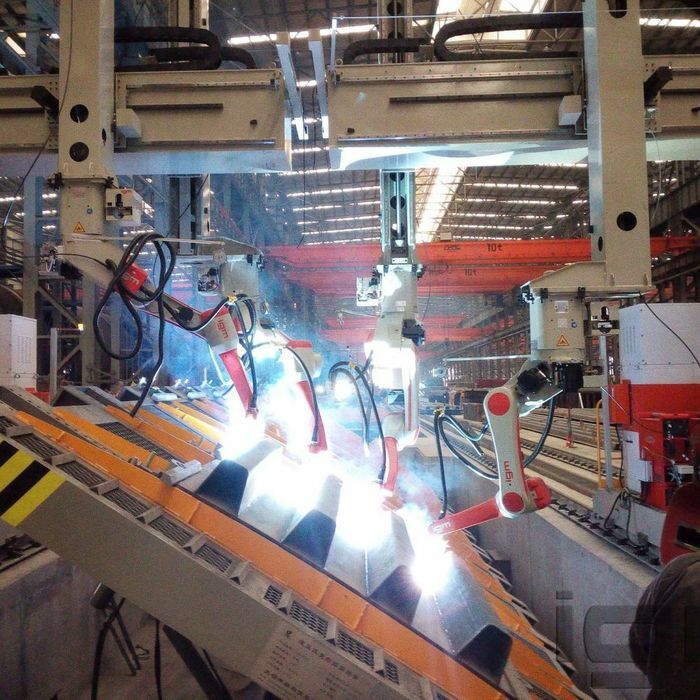 Components with larger than standard dimensions such as those found in bridge construction and ship building for example, are manufactured using portal welding units capable of taking components of up to 25 m in width and 8 m in height. 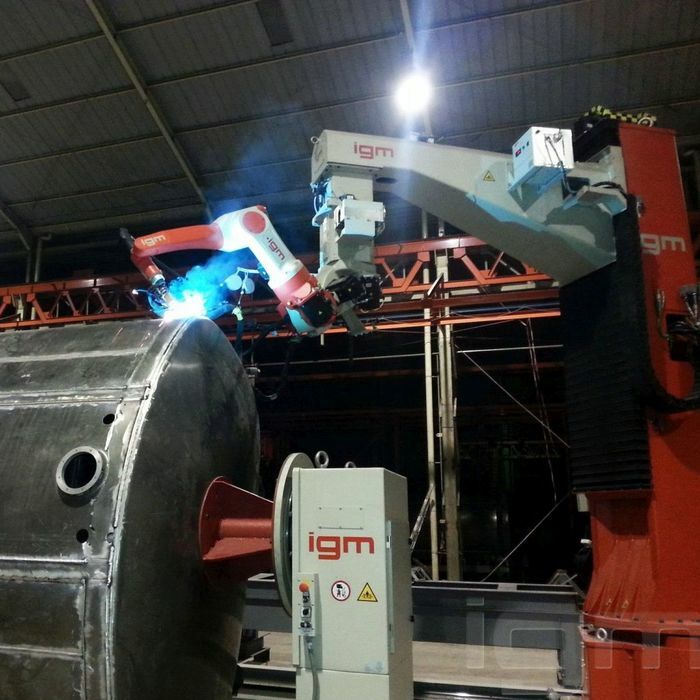 The robotic systems are utilized amongst others for manufacturing excavators, railway wagons and locomotives, for boiler making, the construction of gantry cranes as well as for bridge construction and ship building. Our installations for the manufacture of excavating machines consist of stand-alone machines or complete production lines with multiple welding cells and systems for automatic loading and unloading. 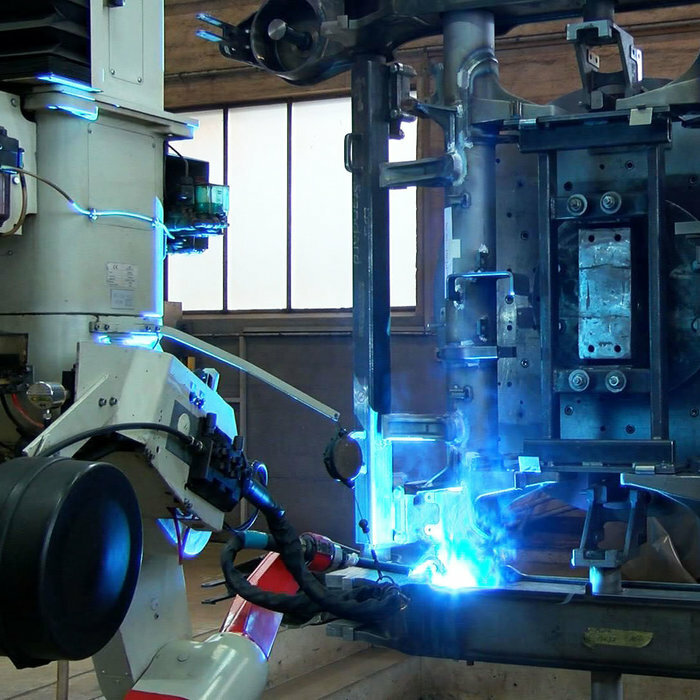 Welding requirements are often demanding due to extreme material thickness, however, our robots are able to cope with position tolerances, seam displacements and welding distortions by means of laser camera systems which allow extremely accurate welding. 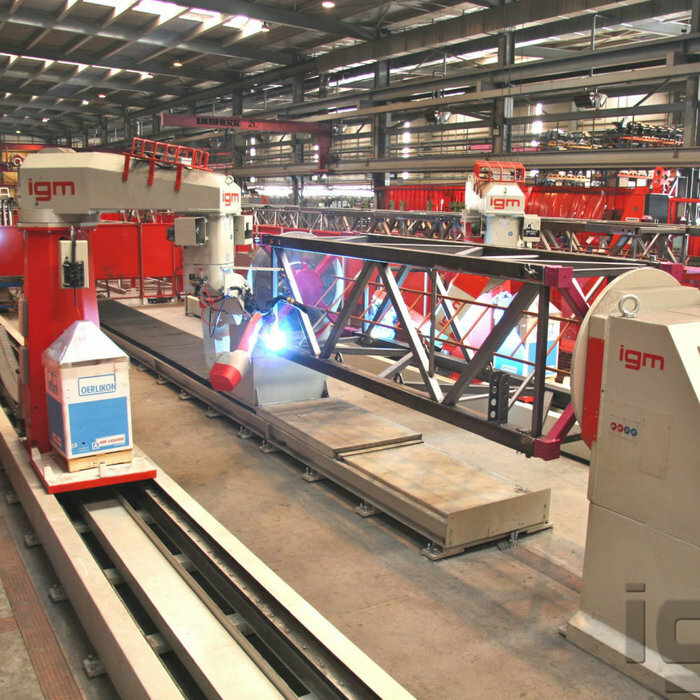 When igm robots weld, precision comes into play: Our robot systems weld many parts for rail vehicles all over the world. Engines, frames, bogies, side walls, roofs, front walls for freight or passenger cars, locomotives, high-speed trains, suburban trains, subway and tram cars are products igm robots are working on. 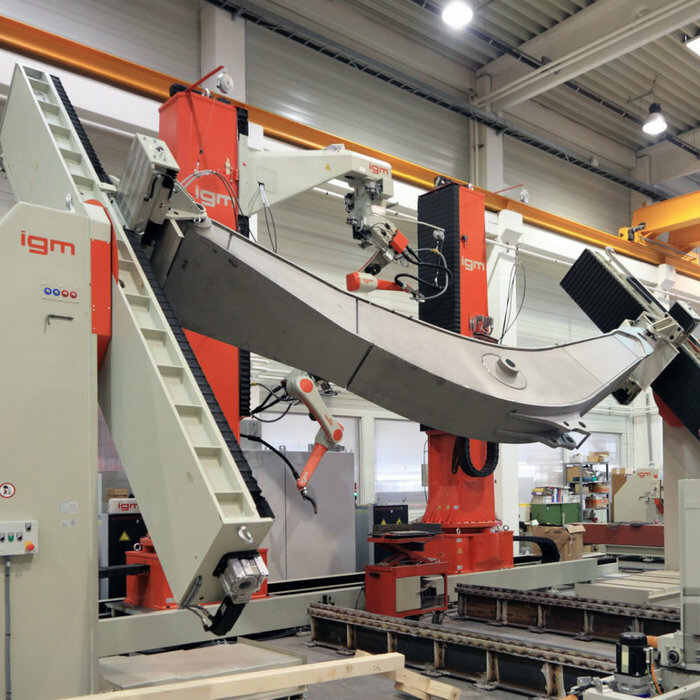 Igm has great experience in the realization of robotic systems for the production of forklifts and plays a key role in customized welding solutions for lift masts, lattice masts, main frames, engine frames and hydraulic cylinders. 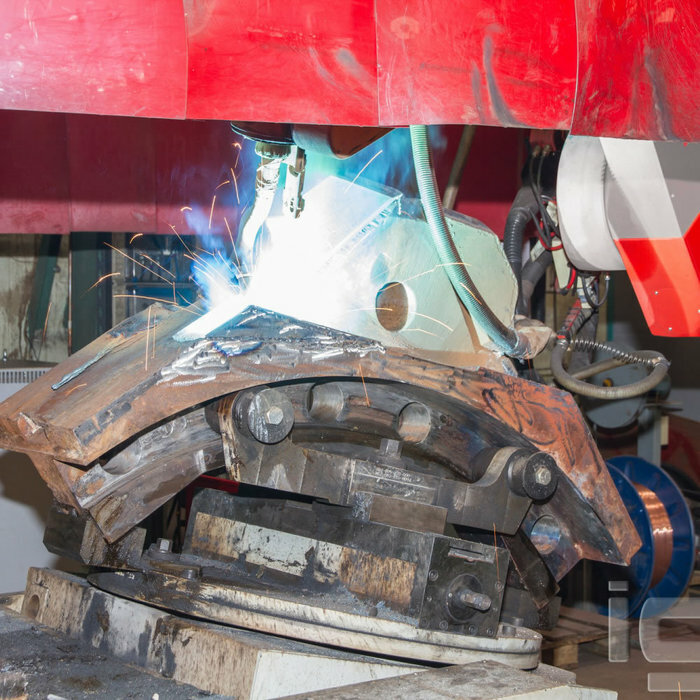 More than a dozen different large components for slewing tower cranes, for example slewing platforms or undercarriages for fast-erecting cranes, slewing gear bearings, or slewing ring supports for slewing platforms can be welded by igm welding robots. Whether for mining machines for open-pit mining or equipment for underground mining, we offer a custom solution for the manufacture and repair of any machine. Large excavators for open-pit mining are impressive for their enormous size. High-quality boilers are clad on the interior with stainless steel sheet metal to avoid corrosion. That means that both black/black and black/white welding joints are required during fabrication. igm also offers appropriate solutions for unusual applications. Regardless of whether you want to automate production of aluminum ladders, look for an economic way to weld boilers, manufacture garbage containers, construct bridges or cable cars, are involved in air-conditioning technology or want to teach your students - we can offer the appropriate type of equipment for every application!